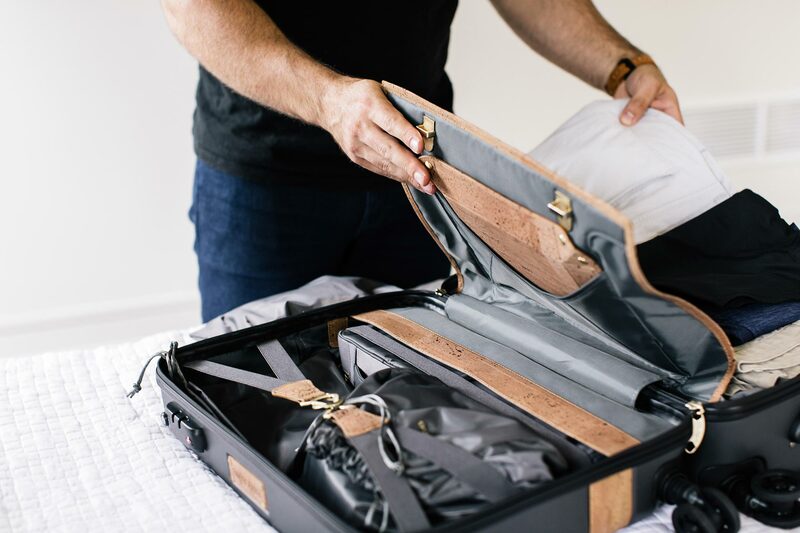 When we set out to create The Quartermaster, we wanted to create a carry-on that would meet every business traveler’s needs and appeal to their “type A” tendencies. 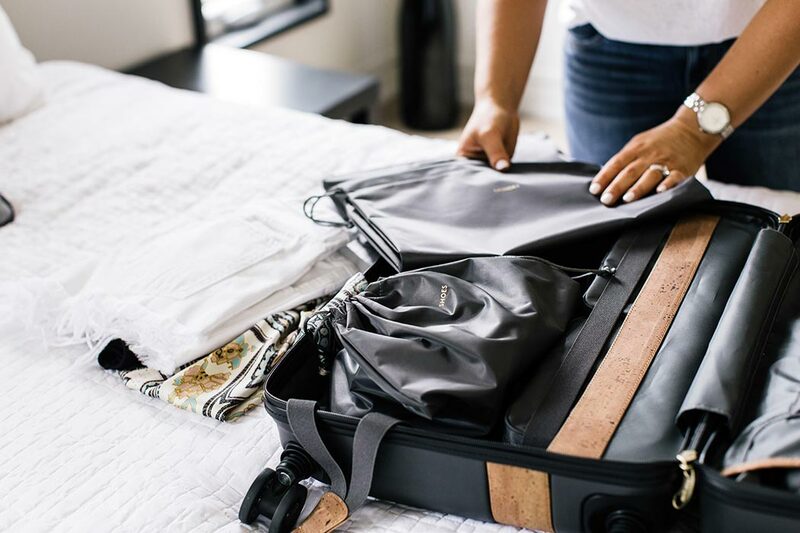 It was designed to pack a week’s worth of items, all neatly stored in purpose-built compartments and carryalls. 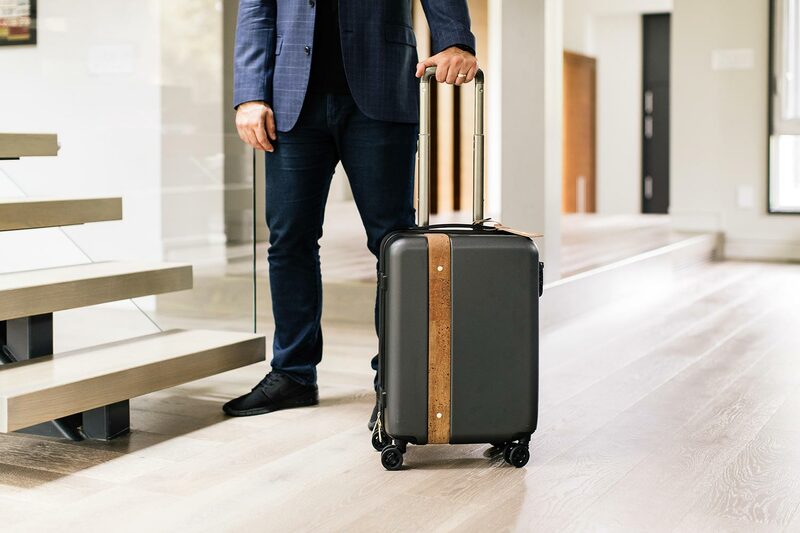 Meet the evolution of our ever-popular carryon, THE Q2. The streamlined interior offers the flexibility to pack just the way you like. 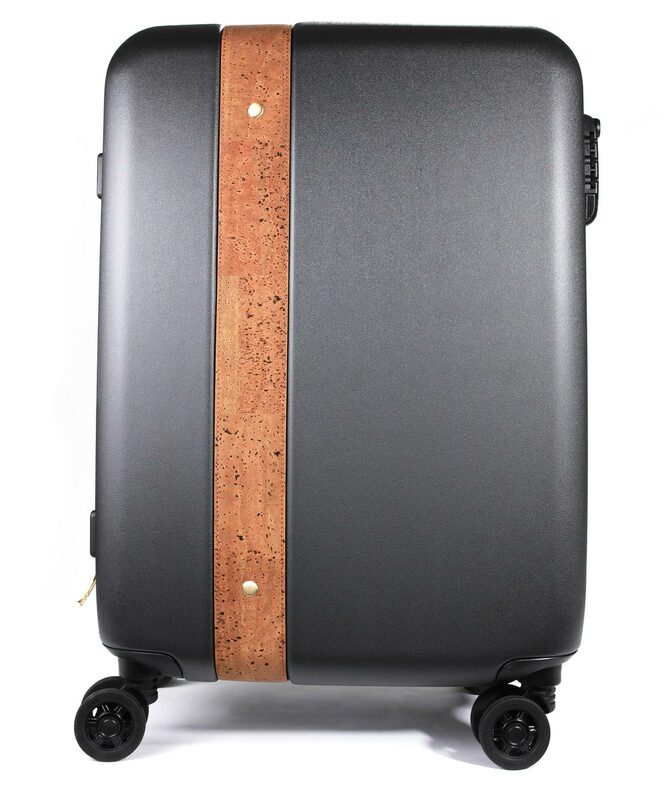 Trimmed in sustainable cork from Portugal, it is 10 per cent lighter but just as durable as its Italian leather trimmed sibling. The best part? 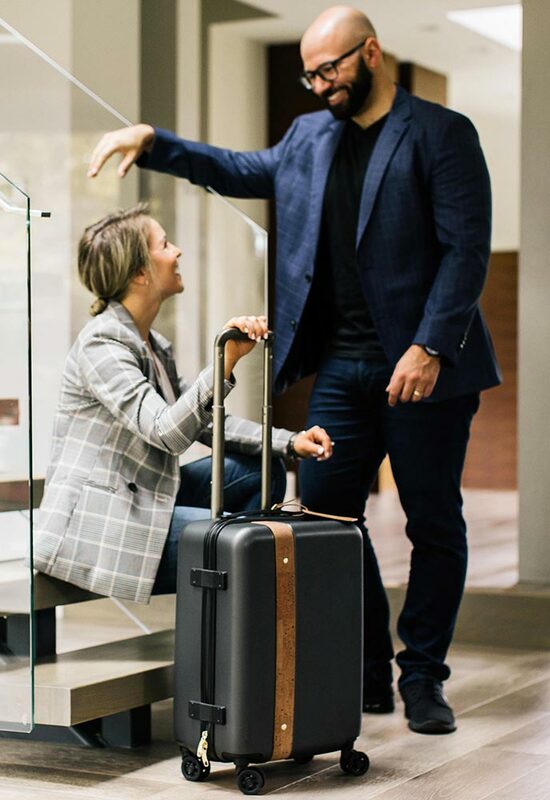 This new, pared down carryon is offered at incredible value and works just as well for men as it does for women. We chose cork to trim The Q2 inside and out to give it a fresh look, durability and green appeal. Vegetable dyed in a rich tan, it is a distinctive complement to the polycarbonate case in our newest color, Aviation Gray.